"Nevis - Sunshine's by Moonlight" by Paul McGehee. In the Eastern Caribbean lies a gem of an island, Nevis...long known as the "Queen of the Caribees." It is an island paradise of palm trees, waves lapping at the shore, and little monkeys playing in the treetops. Aside from its tropical beauty, Nevis is also rich in history...Alexander Hamilton grew up on Nevis, Horatio Nelson was married on Nevis, and the first skirmish of the young United States Navy occurred off of her shores. Nevis was also at one time one of the leading producers of sugar cane in the world. The four mile by eight mile island's topography boasts of beaches, rain forests and lush green hillsides with rushing streams known as 'ghauts' which carry rainwater down the mountainside. One of the island's many beaches is the beautiful Pinney's Beach on the Caribbean Sea...an unspoiled strand of soft, white sand at the foot of majestic Mount Nevis. Pinney's Beach is where you can find a little slice of Heaven known as "Sunshine's Beach Lounge" which serves up some of the finest food and drink you will find anywhere...including their world famous "Killer Bee" rum punch! Sunshine's is a favorite of locals and visitors alike, including some of the most famous names from the world of movies, sports and music. This moonlit view looks back from Pinney's towards Sunshine's and Mount Nevis...a beautiful sight! 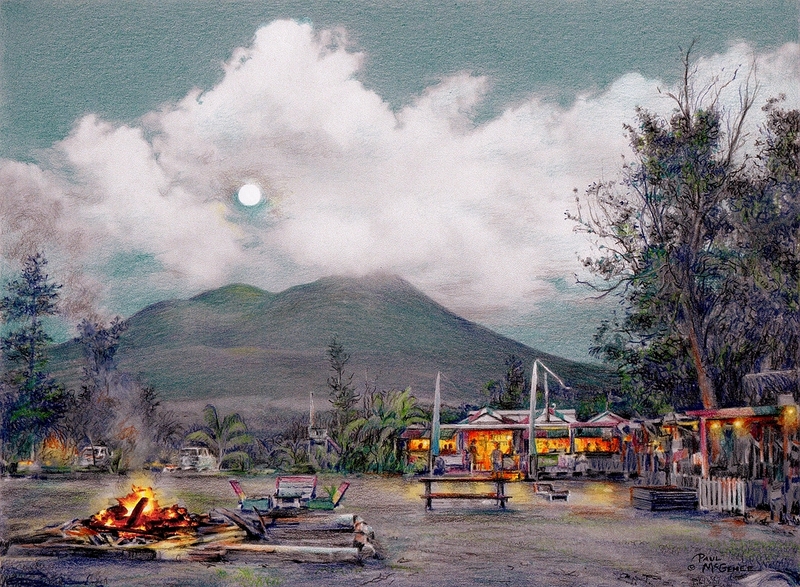 "Nevis - Sunshine's by Moonlight" is faithfully reproduced as an archival-quality print from McGehee's original color pencil drawing, each hand-signed by the artist. Edition size 500 S/N. 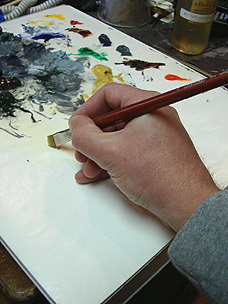 Print image size: 11" x 15".